Share the post "UFE After Traditional Surgery Types"
Interested in learning about the benefits of UFE and how they may serve as an option over traditional surgeries? Click inside to learn more! Even after a myomectomy, Uterine Fibroid Embolization (UFE) can still be a plausible option for fibroid treatment. 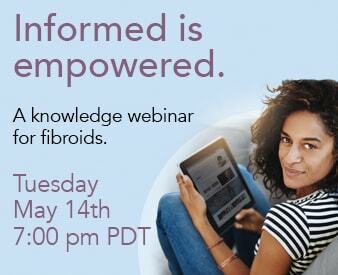 Many women who have tried myomectomy and witnessed re-growth in their fibroids look to UFE to treat their existing fibroids. Because the UFE procedure uses tiny particles to successfully block off the blood supply that feeds fibroids, the subsequent chance of regrowth for these fibroids are unlikely. Therefore, UFE patients are less likely to witness fibroid regrowth than their myomectomy counterparts. In addition to a decreased chance of regrowth, UFE patients also experience the advantage of immediate symptom relief. Symptoms of heavy bleeding, bloating, pain, and pressure can immediately become lessened after the procedure. On average, many post-operative UFE patients state that their symptoms were either eradicated or lessened following the treatment; Therefore, embolization would be an optimal choice of fibroid treatment for your situation-not to mention, a quick recovery period of less then 7 days! It is never too late to treat your fibroids. Let us help you explore treatment options, give us a call at 866-362-6463. By calling this number, you can request an in-office consultation with Dr. McLucas, or you can opt to engage in a free phone consult. Call our office today!